HRN Electronics Services is a self made company, which was established on January 15, 1990 in Mumbai, India. 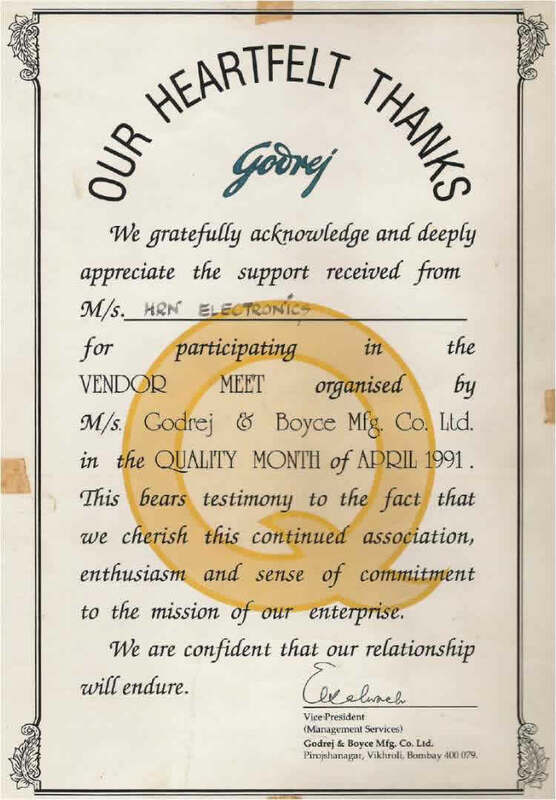 On this day the proprietor of the company, Mr. Cyrus Savakshaw Saiwalla, resigned from the then biggest Private Company in Asia : Godrej & Boyce Mfg. Co. Pvt. Ltd. Since then, the company has gained vast experience in maintenance of electronics precision items and designing of computer systems to its assembly level stage, giving utmost importance to Quality Control. The company was conferred the Quality Control certificate in the year 1991 by the reputed Godrej Co. Maintenance in precision test equipment viz., Oscilloscopes, Vaccum Gauge Meters for refrigerators, Digital Multi-meters, Decibel Meters, Monitors, etc. Maintenance of Systems, Peripherals, System designing work, Software and Networking Services. More than 15 years of experience in Electronic test equipment and 12 years of experience in Computer and Software Services. We have had a long association with reputed companies in Public and Private sectors Business. Click below to know more. 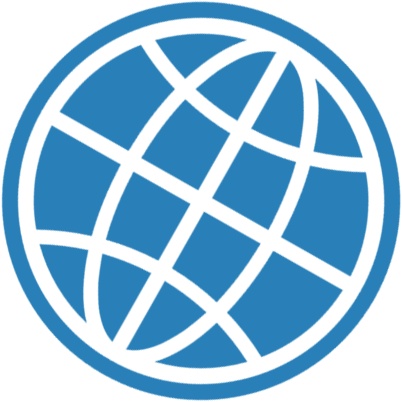 Our expertise is in Automation, Windows / Website / Services development, Management Software development, Utilities delopment. We help in fixing issues in your program and give best possible solutions in delivering your project work. We offer correct, informative and professional service to our valued customers. Ours is the reputed company having a good track record in industry with endorsement of Quality Certificate and also been rewarded for our Time-bound services. We are having sophisticated tools to recover lost / formatted / deleted data at our workstation. Please feel free to contact us for any data related issue. We are the registered member of the world class Intel Corporation, which reposed in us the trust to serve the valued customers as we are always one step ahead in the latest and future technology which Intel provides us. Viruses of all kinds like worms, trojans, malwares are detected and cleaned by using the Best Antivirus software available and necessary updations of security patches. If you suspect that your system is infected with a virus and is not getting removed after running antivirus scans then we can assist you in resolving the issue. Kindly get in touch for any queries or contact me on Social Media. © HRN Electronics Services. All rights reserved.